For the fifth year the Normal Festival is dedicated to the life stories and artistic work of people who are slow at some things, who have more difficulty getting their bearings in the surrounding world and who probably did not excel in school. They hit the streets with microphones and cameras capturing events small and large – pre-election political jousting as well as art festivals, organic markets and an alien landing on Letná Plain. They adapt The Little Prince for their first professional theatrical performance. They conduct interviews with ferrymen, residents of the MeetFactory, experts on the cosmos, and prostitutes. The exhibit in your favourite cafés. They work at Inventura and – they have a learning disability. Despite all the sceptics, all year long they’ve been conquering and continue to conquer public spaces. At the Normal Festival they are your guides to the festival programme, which this year offers the best of the past five years in the world of art by, about and for people with learning disabilities. We are preparing more films than usual for you this year and in addition to cinematographic gems you can also look forward to controversial documentary films from around the world as well as the unconventional perspectives of our conquerors of public spaces on such fundamental topics as the origin of the universe. For us, the culmination of the film portion of the festival will be the Prague premier of the documentary film Earthlings, Who Are You Voting For?, which was filmed during the campaign ahead of the 2010 parliamentary elections by students of the Inventura film workshop under the direction of documentary filmmaker Linda Jablonská. The artistic portion of the festival presents Austrian Art Brut master Josef Hofer and Polish artist Justyna Matysiak. 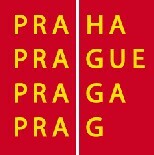 Exhibitions of their works can be viewed at the Austrian Cultural Forum and the Polish Institute, respectively, in Prague until the end of the year. Especially in the case of Josef Hofer you will have a unique opportunity in the Czech Republic to view the work of an artist who has received a number of prestigious awards for his drawings of male nudes unmarked by the well-established procedures and guidelines of art schools. As always, the festival programme will also include theatrical performances, concerts and workshops. The festival’s foreign guests this year will include musician William Longden and Theater Maatwerk founder Koert Dekker, who will present the principles of their approach to working with people with learning disabilities using an experiential method. The reverberations of this year’s festival will reach distant Bucharest, fraternal Košice, Plzeň and Hradec Králové. Come join us in conquering public spaces and pushing forward the boundaries of “normal”. We look forward to seeing you there!